Somaliland an independent country since 1991, continues to lack international recognition, despite being peaceful and stable, especially if compared to its southern neighbour, Somalia. 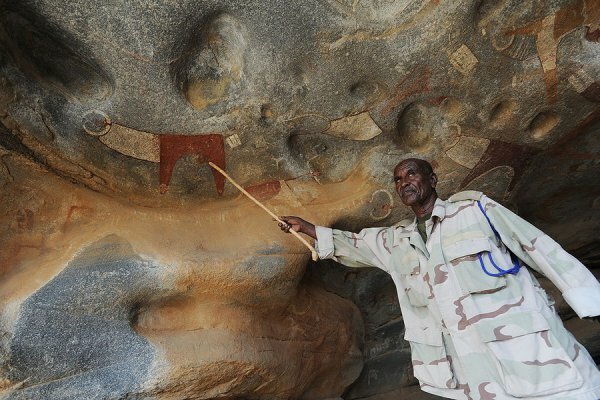 Because of this non-recognition and consequent non-UN Membership, Somaliland’s historical heritage, including Laas Geel paintings and other treasures, are not permitted to be listed as United Nations World Heritage sites. Being recognised by UNESCO would mean greater protection of fragile historical sites, as well as promotion of its rich culture. As was emphasised in an article by the Christian Science Monitor, “it is not just important to Somaliland, it is a global heritage”. If we let Somaliland’s historical heritage continue to be unprotected, the world will run the risk of losing a great historical value. Yet the Somalia government in Mogadishu has yet to ratify UNESCO's 1972 World Heritage Convention – despite registering intent to do so last year. No Somali site was included in the 21 new cultural sites designated in early July when the World Heritage Commission met in Krakow, Poland. “The rain, the wind and the dust can wash it out,” says Jama. “It needs more protection.